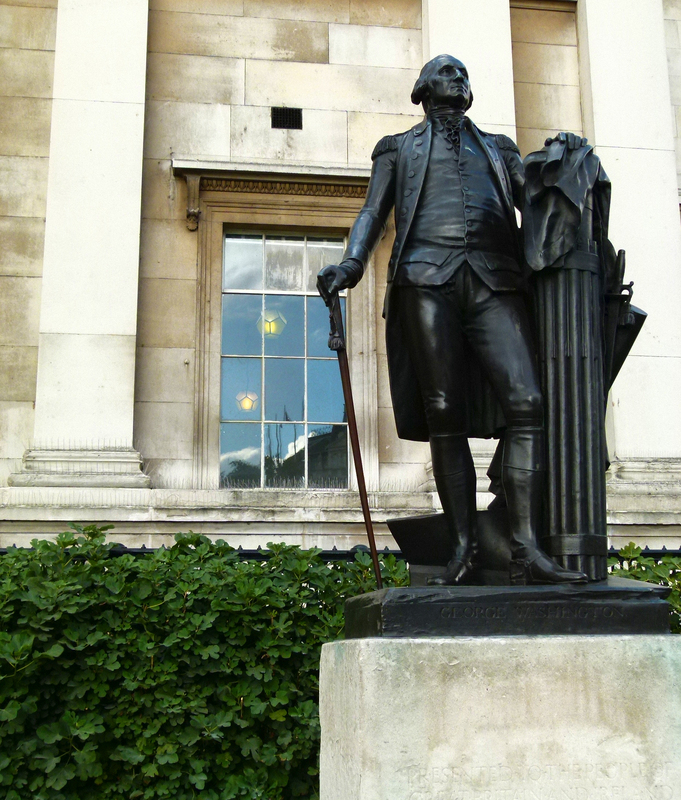 Whenever I have American tourists in my cab I always enjoy pointing out the statue of George Washington which stands outside the National Gallery on Trafalgar Square. 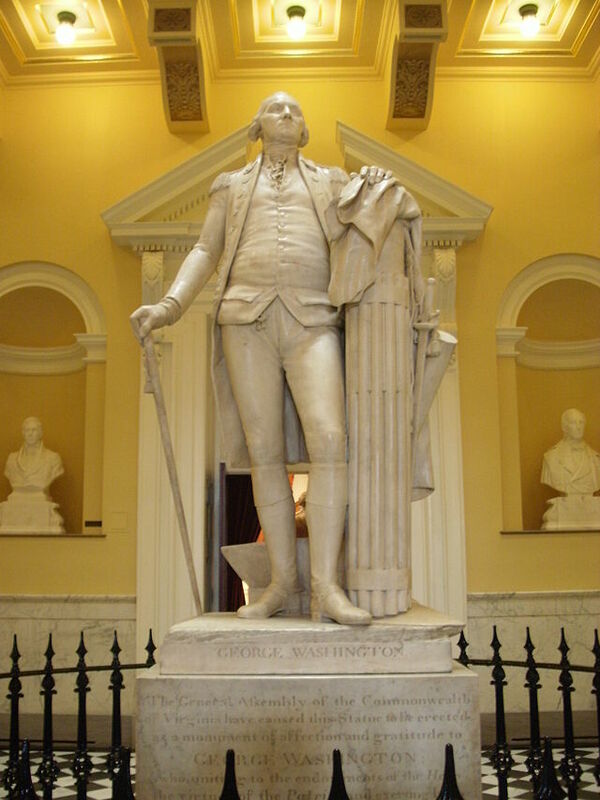 Unveiled on the 30th June 1921, the statue was a kind gift from the United States and is in fact a replica, based upon Frenchman, Jean Antoine Houdon’s marble version (commissioned in the 1790s by Thomas Jefferson) which can be seen in Richmond, Virginia. 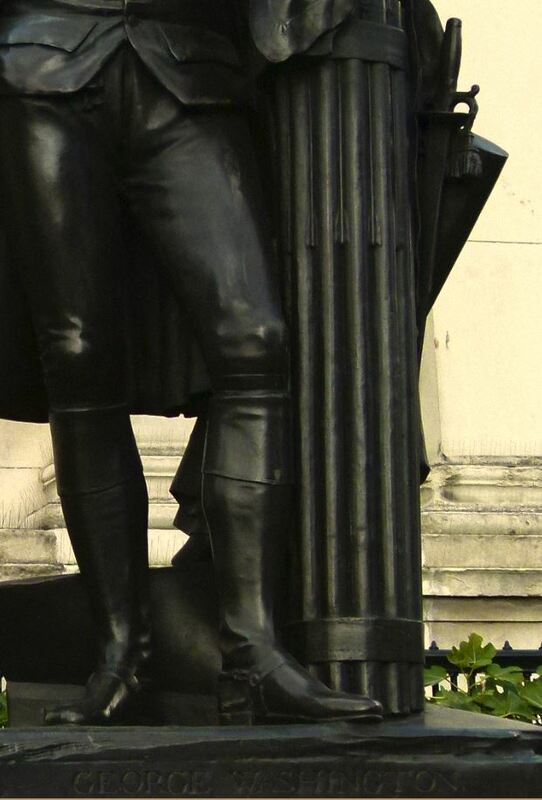 The statue shows Washington resting upon a ‘fasces’; a collection of wooden rods which the Romans employed as a symbol of authority. 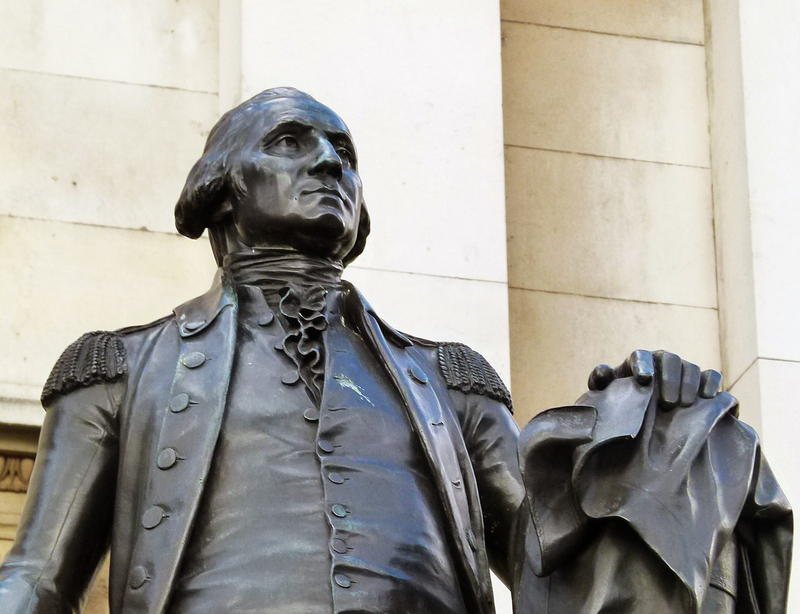 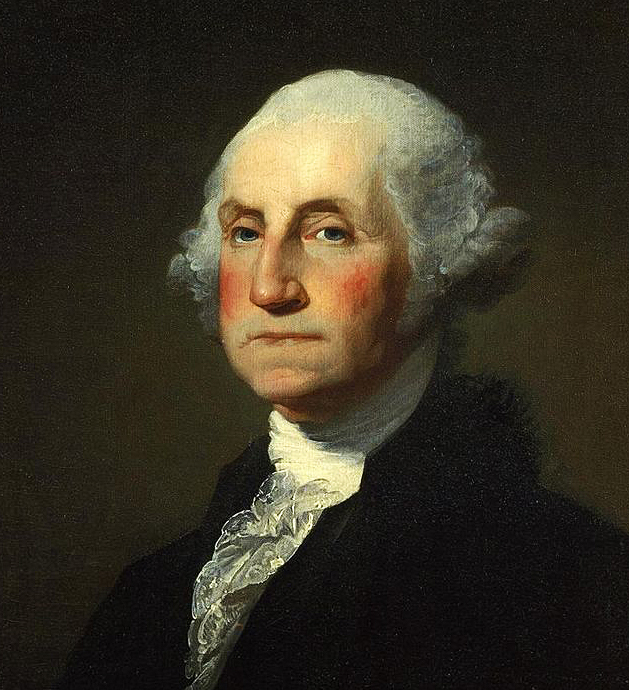 There are thirteen sticks in Washington’s bundle, representative of America’s original thirteen states.